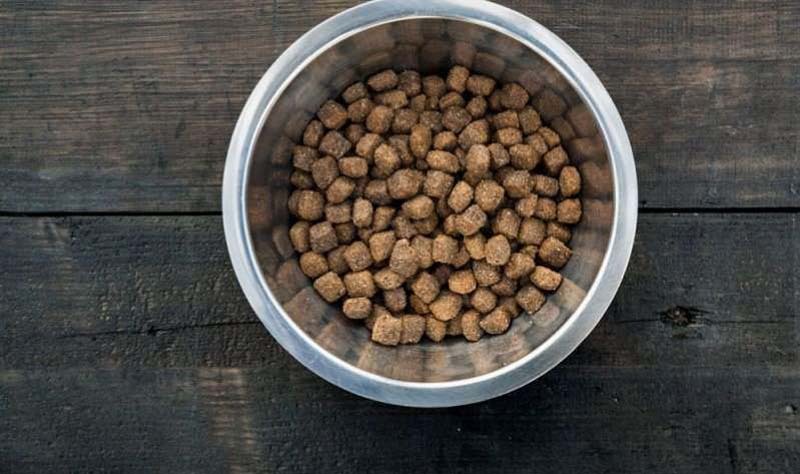 A brand of grain-free dog food has been recalled after at least three dogs got sick. The food, Nutrisca's Chicken and Chickpea dry food, has elevated levels of vitamin D which are toxic to dogs. Nutrisca was notified by three dog owners that their pets had suffered vitamin D toxicity after consuming the food. "An investigation revealed a formulation error led to the elevated vitamin D in the product," the recall notice from the Food and Drug Administration (FDA) states. Affected bags of dog food were distributed to retail stores nationwide. Nutrisca's Chicken and Chickpea dry food formula is recalled in 4 pound, 15 pound and 28 pound bags with a best by date of Feb. 25, 2020 through Sept. 13, 2020. Best by dates are located on the back or bottom of the bag of dog food. Affected UPC codes are: 8-84244-12495-7, 8-84244-12795-8 and 8-84244-12895-5. No other Nutrisca pet foods are affected, including the wet food version of the chicken and chickpea flavor. Dog owners with the listed products should stop feeding it to their pets immediately. The product can be returned to the place of purchase for a full refund. Elevated levels of vitamin D are toxic to dogs and could cause renal dysfunction, according to the FDA notice. Symptoms of high vitamin D levels in dogs include vomiting, loss of appetite, increased thirst, excessive drooling and weight loss.